There are many types of summer camps for teenagers to attend. They're a great way for teens to make friends and learn valuable lessons about life. Summer camp has become a rite of passage for many teenagers, and friendships formed at a camp can last for a lifetime. If you're seeking a good summer camp for your teen to attend, the first thing you should do is decide what type of camp would be most suitable to his interests and goals. When you just want the sort of camp that has been immortalized in classic films like The Parent Trap and Camp Cucamonga, a traditional overnight camp might be just what your teen needs to grow, learn, and relax this coming summer. These sorts of camps offer s'mores around the campfire and more vigorous outdoors activities, yet they often allow campers to customize their camping experiences. The activity-oriented Camp Coniston is a coed, overnight summer camp that welcomes boys and girls between the ages of eight to 15. Natural beauty surrounds the camp's locale on Lake Coniston in Croydon, New Hampshire. It's only two hours northeast of Atlanta, Georgia, so it's convenient for many campers that are coming from nearby states or across the country. 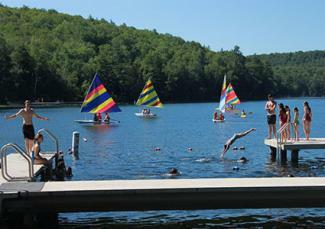 The 1,200-acre camp provides kids and teens with activities like aquatics, athletics, and cultural arts. This traditional New England camp has something for every kid and makes MSN Money's list of camps that are totally worth the money. The Chewonki Camp for Boys has been holding its popular camp every summer since 1915. It welcomes boys between the ages of eight and 15. Lauded as one of the best summer camps in the country by Boston Magazine, this camp is located off the coast of Maine on an idyllic 400-acre campus. It aims to enlighten boys while providing them with rigorous physical exercise in a traditional summer camp environment. Campers learn about natural history and ecology, and the campers get treats like sailing trips and hiking excursions. That's in addition to formal instruction in such things as kayaking, swimming, field sports, and photography. 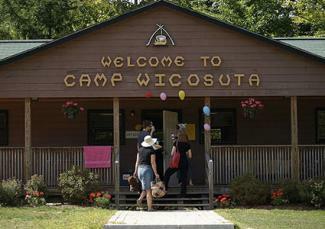 Camp Wicosuta, a traditional four-week sleep away camp for girls in Hebron, New Hampshire, (that also gets a mention in Boston Magazine's coveted list), has been serving young girls since its inception in 1920 as one of the first sleep away camps for kids in the United States. It helps young girls focus on building their self-confidence while ensuring that their emotional and physical safety is protected. It has more than 30 different activities to help girls learn and grow, and each day is different from the one before. From its plethora of optional outdoor activities to its dress code, this camp is designed to let young girls focus on having fun. Many teens like to advance their education during the summer months while also having fun. Ideally, academic camps foster just such an environment. There are hundreds to choose from that specialize in a wide variety of academic subjects, including aviation, journalism, languages, law, computers, and more general math and sciences. While some camps offer academic credit and certifications that look impressive on college applications, others are just for fun. 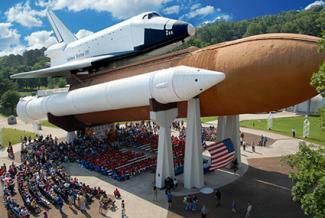 For teens who want to learn about space or life as an astronaut, the famous Space Camp will be a delightful experience. Owned and operated by the U.S. Space & Rocket Center in Huntsville, Alabama, this camp is worthy of its excellent reputation and high acclaim. Teen campers can enjoy a program specifically designed for them. They get to command a simulated space mission and fly jet simulators. These hands-on, fun activities are also education, and the experiences may encourage teens to continue to learn more about science, technology, engineering and math well after camp has ended. Crow Canyon offers summer camps that enable middle school and high school students to study alongside real archaeologists at excavation sites in Colorado. At this top-rated camp, teenagers get the chance to learn by actually doing the work of an archaeologist as they receive instructions and advice from those who are experienced and respected in the field. In addition to learning about scientific research, they also delve into the history of local Native American culture. Campers also learn about identifying and analyzing the ancient artifacts in the camp's laboratory. Some participants are eligible to receive academic credit, too. Located on the Cape Cod Bay, the Cape Cod Sea Camps is a residential summer camp that was designed to provide a rich and fulfilling education experience to kids and teens. 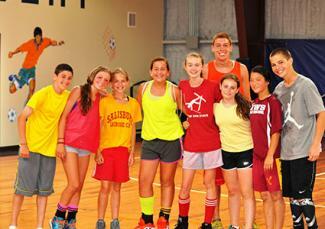 In fact, CBS ranked it among Boston's best camps. 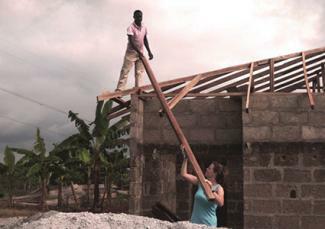 Classes offered include newspaper writing, creative writing, photography, woodworking, snorkeling, dance, and drama. Campers looking for a good time need not worry. There is plenty of time each day for fun and games, too. Teens who have stars in their eyes may not get a chance to audition for theatrical products back home. When arts programs are being cut from too many schools, going to a performing arts camp can be a fantastic way for teens to pursue their dreams and interest in the performing arts. Some may discover that it sparks a lifelong passion, while it helps other teens realize which of the performing arts they like more than others. With its state-of-the-art facilities and camp counselors who specialize in different aspects of the performing arts, aspiring performers will find their summer at French Woods Festival of the Performing Arts Summer Camp to be ideal. Located in the Catskills of New York on a private lake, campers get the best of both worlds: a beautiful camp setting that allows plenty of time in the great outdoors with the advantage of a top-notch performing arts education. It's a coed camp that welcomes kids between the ages of seven and 17 that have an interest in performing. It is noted by the New York Times as one of three camps that set the gold standard for performing arts camps. Campers can customize their experience to include a variety of lessons in the performing arts. Campers can perform on stage, record a song, or make a short film, among dozens of other opportunities within the arts. French Woods was founded in 1970, and notable alumni of this camp include Zooey Deschanel, Adam Levine, and David Blaine. French Woods was also the subject of an MTV documentary called Camp'd Out: I'm Going to Performing Arts Camp. StageDoor Manor is dedicated to fostering a fun camping experience as well as excellence in theater training. Like French Woods, it's located in the Catskills of New York. Spots for this camp fill up as early as nine months in advance, so hopeful teens should apply early. 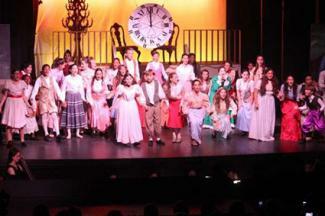 StageDoor Manor welcomes aspiring performers between the ages of 10 and 18. Every camper will get the chance to perform on stage because everybody is cast in a show. Sometimes performances extend beyond camp. Famous alumni include Natalie Portman, Lea Michele, and Mandy Moore, and it's been called a camp where stars are made. Located in northwest Michigan, the Interlochen Center for the Arts Summer Arts Programs offer a arts-focused camping experience for arts-loving teens that's highly-rated from participants and their parents. Renowned instructors teach campers programs in dance, creative writing, music, visual arts, film, and theater arts, among other subjects. Presentations are done at the end of the camp experience to empower teens to feel confident in their accomplishments and the lessons they learned during the summer. This is an especially great summer camp for artistic young people, and there are programs that cater to students from third grade through their senior year of high school. Interlochen alumni include Norah Jones, Josh Groban, and Dermot Mulroney. It has been honored by the National Endowment for the Arts for its excellence in educating generations of artists. Sports Camps are designed for aspiring athletes and kids who really love a sport and want to improve their level of play. Whether a teen wants to learn a new sport or enhance their skills in a team sport that they excel in, a sports camp can provide him with a challenging but fun summer. Located in the Adirondacks of New York, the Raquette Lake Camp has a four-star tennis program that is taught by Davis Cup team players. This exclusive camp features a girls' camp on one side of the lake and a boys' camp on the other side of the lake. Both camps have a very nurturing attitude and a pristine natural environment. In addition to its top-notch tennis program, activities for campers include mountain biking, canoeing, sailing, soccer, water skiing, wood working, team sports, and gymnastics. With a 90-percent return rate for campers, this camp can fill up pretty quickly, so early enrollment is suggested. With its lovely location on Lake Buel in the Berkshire Mountains of Massachusetts, Kutsher's Sports Academy give kids an ideal environment for leisure during the summer camp session, but it also offers a plethora of opportunities for campers to practice and play the sports of their choice. It's a coed camp that provides instruction in lacrosse, roller hockey, baseball, softball, tennis, golf, volleyball, gymnastics, dance, basketball, soccer, dance, and other sports. Campers can also play a variety of games just for recreation, and they also have access to activities on the 240-acre lake. As a camp that has very focused programs to help kids excel in specific sports, IMG Academy serves student athletes between the ages of 12 and 19 who are passionate about sports and are serious about honing their skills. They have five-week planned programs and are flexible about helping parents and teens design customized camp programs to fit their individual goals. Campers enjoy instruction from leading experts and get to have fun with like-minded teens from around the country and elsewhere in the world. This camp is set on a safe, secure campus that spans 450 acres on the picturesque Gulf Coast of Florida. Adventure camps provide a combination of education and indulging in grand adventures. Many of them are considered travel camps as they bring teens to many distant locales around the world to participate in such activities as scuba diving, mountain climbing, and volunteering. Whether you choose one that enables your teen to travel across the county or to another country, these camps provide a lot of excitement and teach valuable life lessons as well. Located in Avon, Colorado, the Walking Mountains Science Center Summer Camp helps children and teens between the ages of 8 and 16 learn a plethora of skills while having adventures in the mountains. Heralded as one of the 10 summer camps that are worth the money by MSN, this camp houses students in a mountain cabin. Campers get to explore with a compass and map as their guide, and they usually discover a lot about ecology, surviving in the wild, and camaraderie. With a low student-to-teacher ratio, the White Mountain Climbing Camp focuses on providing teens with a safe, exciting experience throughout their time at camp. It's located in the lovely mountains of Northern New Hampshire. The summer sessions start by providing thorough information on the basics to mountain climbing, then teens are allowed to go on guided climbs in scenic locations throughout the area. Students get to stay in dorms because the camp is organized by a boarding school, and there are traditional nighttime camping activities that give campers the opportunity to hang out, socialize, and make new friends. Located on the Neuse River on Arapahoe, North Carolina, Camp Sea Gull and Camp Seafarer are sister camps that aim to build character while giving kids and teens a fun summer experience. Camp Sea Gull is for guys, while Camp Seafarer is for girls. In addition to the traditional, four-week camp with 3,000 feet of shoreline, the camps also offer international leadership programs for older teens. Whether your teen's idea of an exciting adventure is strolling in Paris or hiking in the Alps, there is likely a fun, nurturing, and educational program that's suitable for her. Created to enhance the lives of young people with programs that focus on service work and cross-cultural experiences, Visions Service Adventures provides middle school and high school students with a summer experience that's truly unique. There is typically one staff member for every four students, which means that teens get individual attention and care throughout the journey. Because of this camp's combination of hands-on community service, exposure to new cultures, and fun adventures, teenagers often walk away from this summer camp with a new perspective and a greater sense of self-worth. It enables teens to see the direct, practical results of volunteering, yet it also shows how much fun can be had while helping others. No matter what type of summer camp you and your teen decide on, many good things come along with going to camp. Some of these benefits include long lasting friendships, strengthening communication skills, the development of leadership skills, a new understanding of independence, and an increased sense of responsibility. Explore the American Camp Association website for a lot of information about the camping experience.